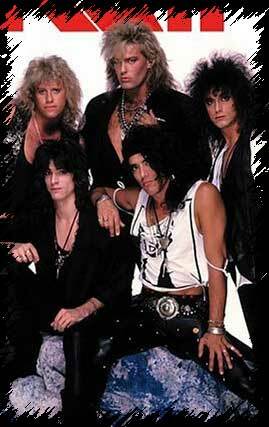 Ratt are one of the original bands to come out of the LA glam/pop metal scene in the early 80's. They combined the pomp, attitude and drive of bands like Aerosmith and mixed it all with the heavy metal guitar sound of Judas Priest, at least at first. In June of 2002, Ratt guitarist Robin Crosby passed away. This was a lucky find. I found it for $7.99 at a small cd store in New Mexico. A quick check on eBay and a few other sources proved that it's become quite a collector's item, selling in the $35-$50 range.Wow! I debated selling it at that price, but the collector in me couldn't part with it. I'm sure I will regret it some day when this is re-released with a ton of bonus tracks. Anyhow, this is a killer HEAVY METAL disc. Every song rocks! "You Think You're Tough" became a hit for the band. "Back for More" re-appeared on "Out of the Cellar." "Walkin' the Dog" is a Rufus Thomas song that was made popular by Aerosmith. Ratt's version is very similar to Aerosmith's version. Ratt, like Motley Crue, Stryper and Cinderella, took a heavy Aerosmith influence and combined it with the staccato guitar-picking style of Judas Priest's Glenn Tipton and KK Downing. This was the bands first major label release after releasing a very succesful EP. It was also their most successful album. They scored a huge radio and MTV hit with "Round and Round." "Round and Round" is still a heavily performed live song and featured on some popular modern video games such as Grand Theft Auto and Saints Row. The record is very consistent and also spawned minor hits with "Wanted Man", "Back for More" and the excellent "I'm Insane". "Lack of Communication" is also an excellent Judas Priest style metal tune and one of the heaviest on the album. There were a ton bands that sounded like this by the mid-80's but RATT was one of the originators and this album is one of the better from the scene. Got my CD copy in an internet trade. Jack Frost recorded a cover of "Lack of Communication" on his "Raise Your Fist To Metal" CD. guitars allowed to be up front, it would be quite apparent that the heavy riffs were indeed there. Warren De Martini shreds on this album and proves that there is more to being an LA band than just leather, lace and hairspray. Bobby Blotzer also does some fine work behind his kit. This album spawned a bunch of MTV hits. "You're in Love", "Give it All", "Between the Eyes" and "Lay it Down" all seeing regular rotation on the radio in 85. Ratt had gone for a totally overproduced pop metal sound by this point, although there certainly are some fine rockers on this disc. The Ratt 'n' roll gems are the lead single "Dance" and "It Doesn't Matter." While the guitars seem to be toned down, Pearcy seems to have a better mix on this disc than ever before, sounding a tad more raw and raunchy. However, comparing this disc to everything the band had done up to this point, it just doesn't have the same aggression. I'll bet many of these songs would sound great on a live cd with a beefier guitar tone. "Reach for the Sky" is a bit more pop in nature, but as with 'Invasion of Your Privacy' this is still a solid rockin' CD. The Aerosmith vibe is really heavy throughout. Really though, this just sounds like Ratt. I can't imagine anyone not liking this cd if they like "Invasion" and "Out of the Cellar." One thing for sure, these guys know how to write a hook. If I am not mistaken "Way Cool Jr." was a hit for the band. "No Surprise" is NOT the Aerosmith song of the same name, although that would have been really cool to hear. "I Want a Woman" was also a minor hit single for the band. 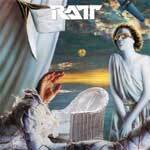 Ratt enters the 90's with a few changes, the biggest of which is the end of the long running relationship with producer Beau Hill, who helped develop the band's multi-platinum selling sound for the 1980s. Also, the addition of Desmond Child and Jon Bon Jovi to the song writing credits shows that Atlantic/Sony wasn't so sure that Ratt could still produce a hit by themselves. Despite all this, the resulting album still sounds like Ratt although 'Detonator' was the first Ratt album not to achieve platinum sales. Not sure why as this disc is actually quite good with a few songs that really could have been hard rock radio staples. Picked up this cd used for $6. When I got home I discovered it was the Japanese copy with Japanese writing on the spine and the added insert with all the lyrics in Japanese. Pretty cool. The Ratt comeback album came out in the midst of the depression days of metal when bands were still counting their casualties from losing the battle against grunge. While Ratt make an attempt at change to sound more modern, they don't really come off as such. Rather what they did was trade in their trademark 1980's sound for a slightly more 70's sound, which is just fine by me since I found much of the mid-to-late 90's music to be pure crap. 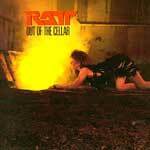 "Collage" has Ratt trading in the metallic, pop metal sound for a more Led Zeppelin, blues-metal approach. Unfortunately there are no real standout "hit" cuts on this disc, although I the disc is a pleasant listen from beginning to almost the end. Track 10 is a dance remix version of "Lovin' You." Not sure what the deal is with that track. I guess they needed another song so they just threw it on there. The song sounds more like something that should have been thrown on some single or EP than on a comeback album. Anyhow, "Collage" is not Ratt's greatest acomplishment, nor is it a total waste. Ratt attempt a complete make-over in both sound and look. Not sure I care for the look, but the sound is pretty darn good. They've gone a bit more modern, although not so much as to forsake their trademark sound. Still present are the whiney, gritty vocals of Pearcy, the guitar wails of Warren DeMartini, and the pounding drum attack of Bobby Blotzer. However, the overall production and sound is much less polished and pop sounding but much more street level, not unlike Skid Row's "Subhuman Race." Infestation is the seventh studio album by American metal band Ratt. It is the band's first original effort in over a decade, despite the fact that the band has been active and touring in various incarnations since that time. 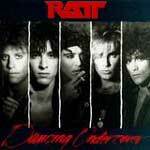 It also marks the Ratt studio debut for guitarist Carlos Cavazo, formerly of Quiet Riot. However Cavazo has been performing with the band live for years. Musically, "Infestation" sounds like it could have been the lost platter between Out Of The Cellar and Invasion Of Your Privacy, with a more modern production. In other words, this sounds like Ratt! This was American heavy metal in 1984. "Eat Me Up Alive" kicks things off with big hooks, heavy riffs, and a catchy chorus. This song could have easily been a single for the band in 1985 and done quite well. Likewise, "Best of Me, "Lost Weekend" and "A Little Too Much" sound like classic Ratt, yet to my ears don't sound a bit dated either. It is my opinion that good music is timeless. The whole album is chock full of killer tracks with very little filler to speak of. Carlos Cavazo fits the band like a hand to a glove. He certainly has the chops to keep up with Warren DeMartini. The rhythm section features original drummer Bobby Blotzer and longtime bassist Robbie Crane, who has been in the band for almost 15 years now. Of course original vocalist Stephen Pearcy is still screamin' and kicking out those nasty, raspy vocals. Like him or love him, Pearcy has a distinctive voice and give the band a certain charisma. Frankly, I think he sounds best on the albums faster and heavier tracks such as "Eat Me Alive", "Lost Weekend" and "Garden Of Eden". 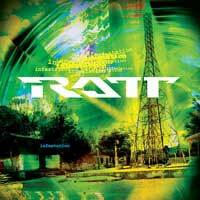 I didn't really think much about the return of Ratt before hearing "Infestation". The modern looking cover art didn't give me much hope either. Other bands from this era have come back only to try to release albums that sound nothing like what the fans really want. Many have tried to sound modern, but it usually just come off as weak and watered down. Younger fans of modern music styles aren't interested in their parents bands no matter how much they try to sound contemporary. In fact, when a band stays true to their sound and history it seems to work best. Ratt has done exactly that. "Infestation" easily captures the vibe of those early classic albums certainly exceeded my expectations.